Scarborough, known as arguably the most rich and historic area in the world as far as Junior hockey goes. The Wexford Raiders were a powerhouse in Junior hockey throughout the 90's and until 2006. The team, the rink, the area was a factory for players getting a scholarship in NCAA D1 hockey, 61 in total. The team produced Team Canada and currently, the OHL's North Bay Battalion head coach, Stan Butler, as well as many NHL players (See bottom for complete list of all 35), including current NBC and MSG networks commentator, Anson Carter. Carter went on to play NCAA D1 for Michigan State, then the played the span of 10 years in the NHL, and most notably for Canadian hockey fans for Team Canada in the 2003 World Championships when with over 14 minutes into overtime of the gold medal game against Sweden, Carter beat Swedish goaltender Mikael Tellqvist with a wraparound goal, winning Canada's its first World Championship gold medal in five years. The history of Junior hockey at the Scarborough Gardens originated in 1972 as the Wexford Warriors of the Metro Junior B league. Then in 1981, the Warriors Raider name and kept it until 2006. 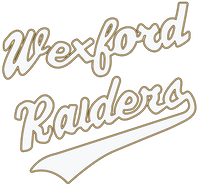 The Wexford Raiders were one of the strongest teams to play in the Metro Junior A Hockey League. In 1990 the Wexford Raiders became one of the most dominant squads in the 90's, under coaches Stan Butler and Kevin Burkett, who lead the team to four consecutive Metro championship squads. In that time, the Raiders sent more players on NCAA Division I hockey scholarships than any other junior team in North America. In 1998, playing against Caledon, the Raiders won the last ever Metro Junior "A" title in game 7 by a score of 9-0. In 2006, the Raiders moved, changed their name to the Toronto Jr. Canadiens and took on the colors of the Montreal Canadiens. Since the 2005-06 season ended, maybe the most historic of arenas in all of junior hockey has been empty....until now. It has just been announced that the Scarborough Wexford Raiders Junior Hockey Team will be bringing Junior hockey back to the historic Scarborough Gardens. Team owner, Lucas Bannon remarked, "It's amazing! I walk into the Scarborough Gardens, see the surround bowl seating stadium style rink, see the big mural of the team on the wall from the Championship Wexford Raider teams of the past, see the Wexford Raider logo, and remember my childhood watching those teams. I can see those players, now NHL veterans, with big smiles, cheering, jumping, and celebrating winning the league title. I remember exactly where I sat. I can still hear the crowd, and the players. It is surreal now I own the team. I'm humbled. I'm honoured. I feel a sense of duty to everyone in Scarborough, to every one who packed the Scarborough Arena Gardens, to all those legendary players, to take care of their team, to bring it back to glory." as he stared off at the ice surface, obviously caught in a memory, as his eyes started to well up. The Scarborough Wexford Raiders will compete this season (2018-19) in the Canadian Premiere Junior Hockey League. There is a lot of anticipation and expectations from the community. Junior hockey games will be back to the spot they've been at since 1972, Friday nights at 7:30pm at the Scarborough Gardens. 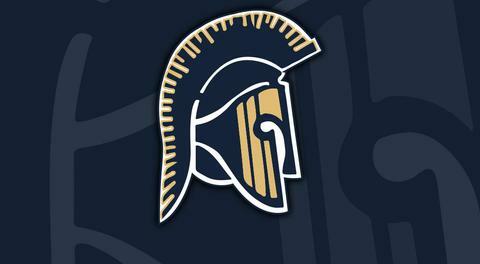 A huge ceremony and event is planned for the grand home opener, tentatively set for September 22nd.